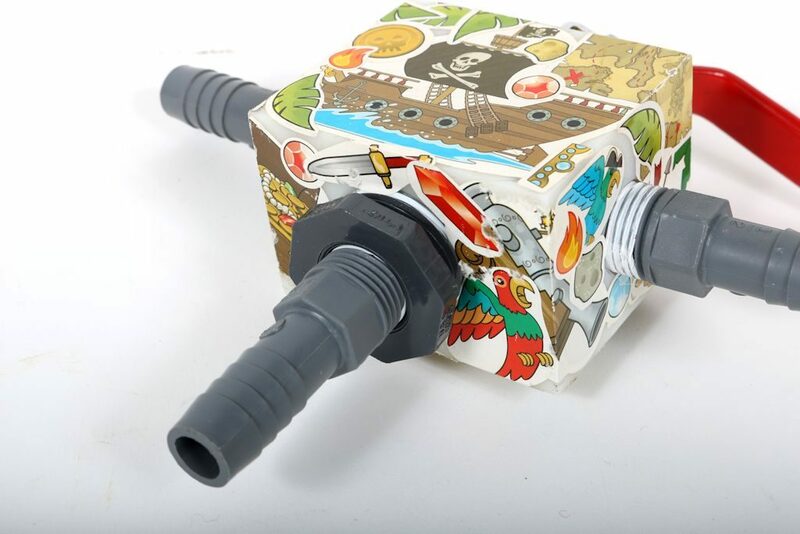 This is a square plastic box covered in pirate-themed stickers. Three grey spouts emerge at right angles from three faces of the box. These are screwed into place and can be removed by unscrewing. On a fourth side there is a metal connection attached to a silver-coloured tap covered in red plastic. On the red handle: “aqua-dynamic”. This item was constructed by students in a chemical engineering class in order to demonstrate the design and construction of a three-way ball valve. Excellent. This item appears to be in the condition it was when it was constructed. 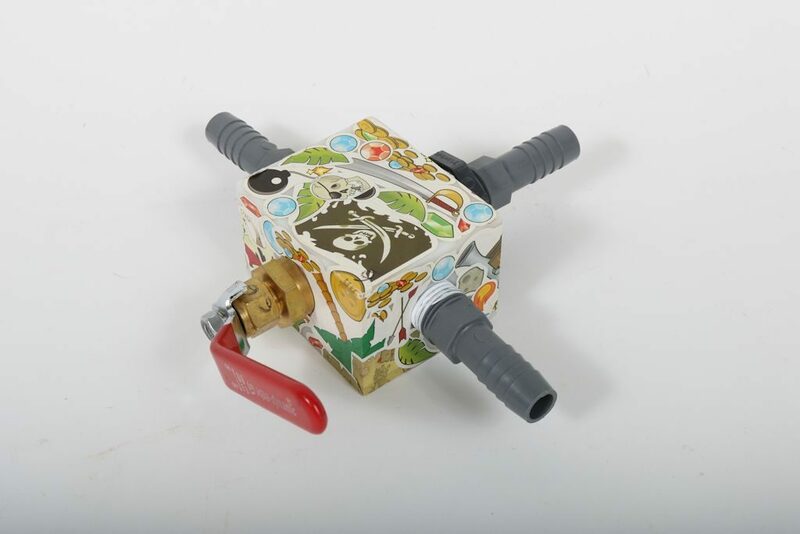 This object was made by third-year undergraduate students in Professor Paul Jowlabar’s class CHE324F (Department of Chemical Engineering) in 2011 in order to demonstrate the design and construction of a 3-way ball valve. It was retained by Jowlabar following the class to act as a demonstration piece for future classes, and donated to the collection for the 2017 UTSIC Exhibit, “Untold Stories”.